From the price of arugula to vacations in Marbella, the Obamas are the perfect yuppie couple. That Bush was a World War II combat pilot, well over six feet, athletic, and a genuinely nice guy mattered little. Apparently, the fact that he had been Reagan’s subordinate for eight years, sounded nasal at times, and lapsed into occasional stuffy metaphors created an impression — fueled by everyone from the Newsweek editors to Jimmy Carter — that Bush was a wimp. He dispelled that for a time in 1988 (opponent Michael Dukakis, awkwardly perched in an Abrams tank, helped), but down-home good ol’ boy Bill Clinton exploited the preppy charge again in 1992, to some effect. Stereotypes, in other words, die hard. #ad#For Obama, the stereotype is one of a distant, cool, rather narcissistic yuppie. Yuppism, remember, is not definable entirely by income or class. Rather, it is a late-twentieth-century cultural phenomenon of self-absorbed young professionals, earning good pay, enjoying the cultural attractions of sophisticated urban life and thought, and generally out of touch with, indeed antithetical to, most of the challenges and concerns of a far less well-off and more parochial Middle America. For the yuppie male, a well-paying job in law, finance, academia, or consulting in a cultural hub, hip fashion, cool appearance, studied poise, elite education, proper recreation and fitness, and general proximity to liberal-thinking elites, especially of the more rarefied sort in the arts, are the mark of a real man. For Obama, all the self-referencing about his black heritage and his tough community organizing, the publicly shared confessions about his absent father, the Chicago “bring a gun to a knife fight” tough talk, and the “cool” manner of shooting hoops cannot quite erase the image of an aloof, whiny urban professional of the sort who likes having nice things and kicking back, has not a clue about the lives of the middle and working classes, and heretofore has worried mostly about his own upward mobility. In that context, for the Obamas, if there were not a Martha’s Vineyard or Costa del Sol, such places would probably have to be invented. Barack Obama — the son of a Ph.D. and a Harvard-educated economist, graduate of a Hawaii prep school, replete with Ivy League education, stylish digs in a good Chicago neighborhood, properly tamed and presentable radical social circles, and the requisite power-couple marriage — appreciates the ambience of a vacation spot: Who goes there and why, and what others will say and think, alone matter. Otherwise, the sun and surf at Pismo Beach would do just as well. During the campaign, numerous critics highlighted what we can legitimately call Obama’s yuppie problem — especially after the good times ended with the September 2008 meltdown, and a frazzled public wanted a president who would symbolically appreciate their ordeal. Instead, Obama wondered out loud about the price of arugula. He could not bowl a lick (but foolishly tried), and he scoffed at the gun-owning, white churchgoers of rural Pennsylvania as hopeless clingers, just the sort you would not want to meet at a Bill Ayers book-signing party in Hyde Park. #page#Michelle Obama, for her part, seemed incapable of giving an impromptu speech without the characteristic yuppie whining. Those damn student loans. And sky-high piano lessons to boot — not to mention the cost of the right camp and private-school tuition! How is a family of four to survive these days? Oblivious to her privilege and perks, Michelle lectured working-class America that she felt their pain in such a “downright mean country.” Y­­ou see, each time the Obamas got raises, a cruel America “raised the bar,” and so the two had to pay even more for their incessant upward mobility. Of course, the insular hip urban professional never realizes how ridiculous complaints about the price of arugula or piano lessons sound to most Americans. But to the Obamas, a cruel world was inherently unfair in demanding that the two pay back a $50,000-a-year tab at Harvard Law School. #ad#There was never any thought of choosing a cheaper Penn State rather than Harvard, or skipping Marbella for Galveston. Instead, there is always the unfairness of the fact that Harvard costs so much — or that clueless people can be so silly as to criticize necessary downtime in southern Spain. Professor, legislator, and candidate Barack Obama was never going to climb into his Winnebago and, in the manner of Supreme Court Justice Clarence Thomas, drive off to tour rural Midwestern America. So the Obamas, like all insular yuppies, were oblivious to their choice lot, always assessing their social and financial position in terms of lamentation for what they lacked in comparison to the capriciously better off — never in terms of appreciation for their benefactions in relation to the understandably less blessed 99 percent of Americans. The media were of no help. So desperate were most reporters and commentators for an Obama presidency (and so insular themselves, as yuppies par excellence) that they naïvely assumed that being half black ipso facto gave one street cred — race alone in some warped sense providing working-class authenticity. After all, how could anyone who mimicked the Rev. Jeremiah Wright’s hood cadences be tagged as a yuppie? All in vain. It has been 19 months now, and a NASCAR-savvy public knows a yuppie when it sees and hears one. Obama has never lived in the path of unchecked illegal immigration, with all its attendant social and cultural ripples; instead, he has lived where even murmuring “Close the borders” is considered Neanderthal. So he foolishly sues Arizona when 70 percent of America wants to emulate the state. Typical of the yuppie elite, Obama judges administrative talent by Ivy League certification, not business or entrepreneurial experience in the school of hard knocks. A Harvard Ph.D. is always worth far more than an autodidact, jack-of-all trades entrepreneur who created a successful company from scratch. And that shows. #page#“Green” — as in the now-worn trope “millions of green jobs” — becomes almost a religious mantra, divorced from practical worries during a recession. For a jet-setting Obama, the idea, even the symbolism, of cap-and-trade, not its messy details amid a recession and national insolvency, is what counts. Hypocrisy is an important attribute of yuppies, safe in the “right” urban and suburban enclaves, and thus free to pontificate in the abstract about the sort of life they studiously avoid in the concrete. Yuppies like teachers’ unions for our children; but they send their own children to charter, private, or prep schools where teaching excellence and results (defined by getting kids into the top private universities) matter. #ad#Yuppies preach racial and class ecumenicalism, but they usually associate with their own kind. Yuppies compensate for their lack of physicality through hyper-expressions of gym- and sport-induced fitness. Put Obama in a pickup truck scrounging for voters, and in comparison Dukakis’s tank ride would seem like George Patton in a Sherman. Reagan knew how to use a Weed Eater; Obama would worry about machine-induced allergies and cite studies on hearing damage. After 2004 we thought that John Kerry — spandex-clad, wind-surfing, at home with the good mansion life, stiff, pontificating, and passionless — had proven that yuppism was a career-ender for a presidential candidate. So it was not easy just four years later to sell a kindred yuppie, but centrist-talking, Obama to the public, as an antidote to George Bush’s Iraq and Katrina — even after the worst financial panic in modern memory, and as a sort of collective penance for past real and purported racial sins. But those planets will not line up again in our lifetime. And so a country that is deep in a stalled economy and tired of elite bromides is left with our first metrosexual president, Barack Obama. Both the man and the agenda, after nearly two years, are yuppie still to the core. 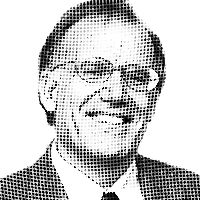 – NRO contributor Victor Davis Hanson is a senior fellow at the Hoover Institution, the editor of Makers of Ancient Strategy: From the Persian Wars to the Fall of Rome, and the author of The Father of Us All: War and History, Ancient and Modern.